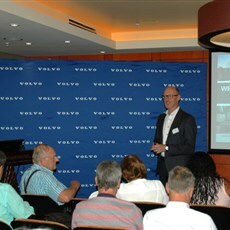 Volvo Group took over the traditional UD annual kick-off analysis and projection session in Johannesburg on Thursday. 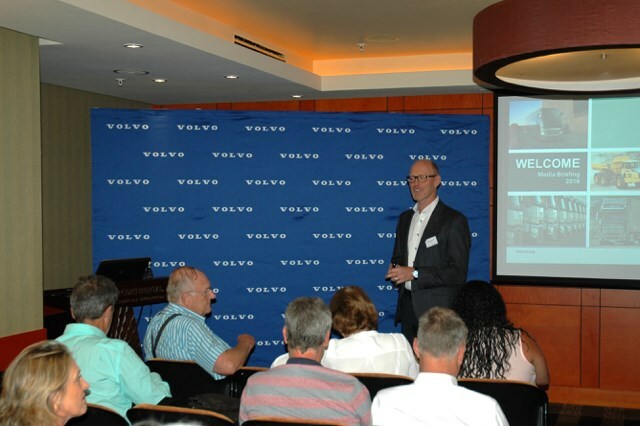 Torbjörn Christensson, CEO of Volvo Group Southern Africa, began the presentation with a high level overview of the group performance on a positive note. "As a group we have really done quite well overall for the last year, being able to reduce costs as well as do better in the aftermarket" he explained. Volvo Group’s US and European markets have done well with the only exception to the overall "positive news" being Brazil, which is currently achieving only roughly 50% of their previous performance. 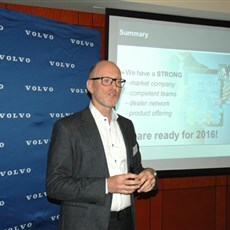 Christensson continued: "The sales volume is pretty flat but operating margin is up to 6 from 4 percent. We cannot control the markets so our only real option is to keep the group as lean as possible, and so this remains a group point of focus. 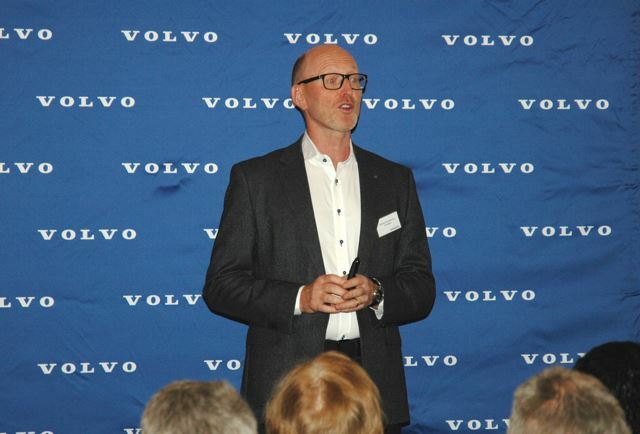 Volvo Group are extremely proud of the current international performance - and even through there are still problems and challenges to overcome, the general outlook is still a positive one”. Macro economically, he asserts that the heavy duty sector in SA has been performing worse than expected with a decrease of 2%, and GDP growth of 1% being looked at as realistic, but still disappointing. However, the attitude of any importers is going to be one of wait and see as they adapt to a new reality. Christensson put it into an analogy: "to look at SA’s situation from the perspective of an importer, you have a reduction in earnings of 15% but simultaneously have to pay a probable 5% increase on labour. The South African reality is not going to easy, but it is far from the worst market situation to have to cope with in 2016." This is illustrated by the terrible figures from Angola - only 30 trucks were invoiced in 2015, down from 800 previously. 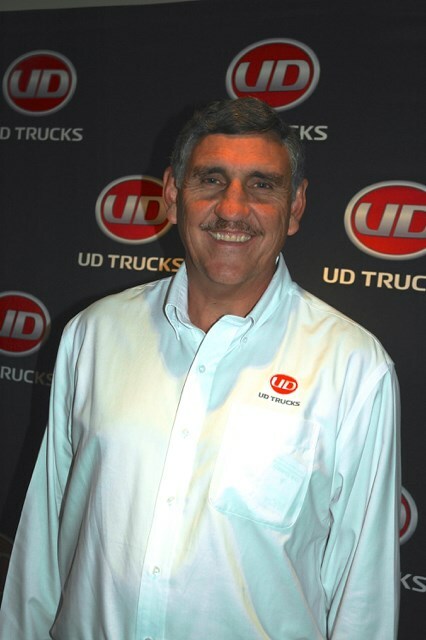 In terms of market share, the group and particularly the UD brand has done well, even if the performance was slightly less than projected. As of 2016 the group is combined into one legal entity, with common back office support, their two 2 manufacturing plants, increased synergies in the retail network, and now with one regional distribution centre. 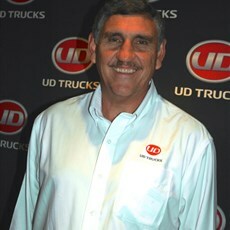 "This investment and reorganisation of the management structure happened just at the right time to allow us to really focus on the market going forward," he explained elaborating on the approximately R100 Million investments into facilities such as the state of the art Bloemfontein and Harrismith dealerships, the Competence Centre and used truck facility, amongst others. The group will continue investing in the country with Durban being a focal area for the period, but there are a number of reasons for the reduction in spend. "The peak of the investments has been reached, and from a board perspective they need to now produce a pay off," says Christensson. But it is clear that it is definitely more difficult to sell brand "SA" into European boardrooms as the negative reports start piling up - currency, labour, political climate, bureaucratic restrictions and any number of other factors cannot be ignored. In Christensson's opinion the "rising star" status of the entire continent has been based on mineral and oil consumption, so this has really driven projections down because of these poor-performing and very volatile sectors within current global trading conditions. 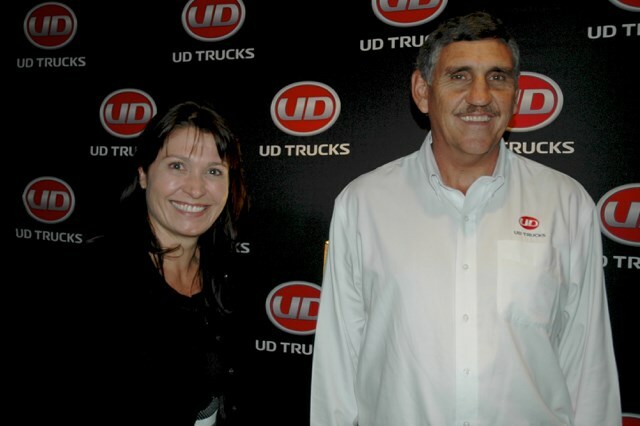 To pick up the mood, he detailed some of the achievements for the local operation including the highly successful UD Quester launch, record sales figures for the brand, and the SA truck driver winner in Japan. 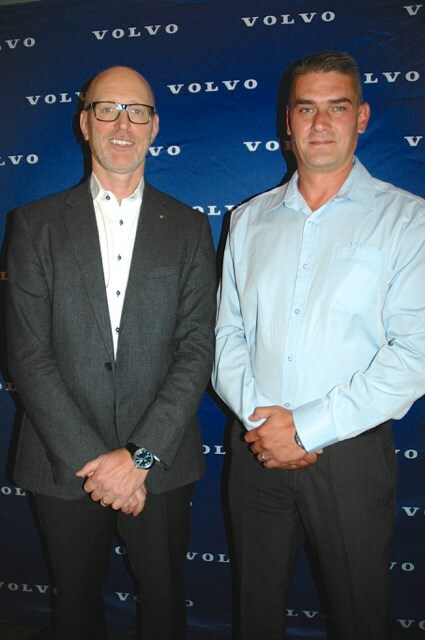 The Volvo FH13L440 is currently the biggest selling model in the SADC Truck market - across all segments - and won the Truck X Truck of the Year award. 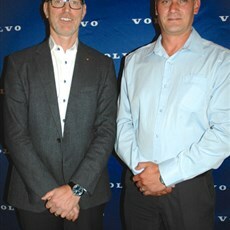 Volvo Group sold 335000 labour hours through retail network, and have continued on their training focus. "The market in SA will be flat but lower level markets outside the country are foreseen to balance this out, but we really could do with a break in the currency rates," he says. And for the coming year areas of focus relate to the Quester's push into Africa, renewed energy on Renault’s African market, and updates across the brands, based on expanding the technology and succesfull model features to the wider ranges. Developing the markets in Zambia, Kenya, Tanzania and Uganda are areas of concentration, specifically in the retail arena. Apparently the UD MCV range is still on the cards but realistically only for mid to later in the year. 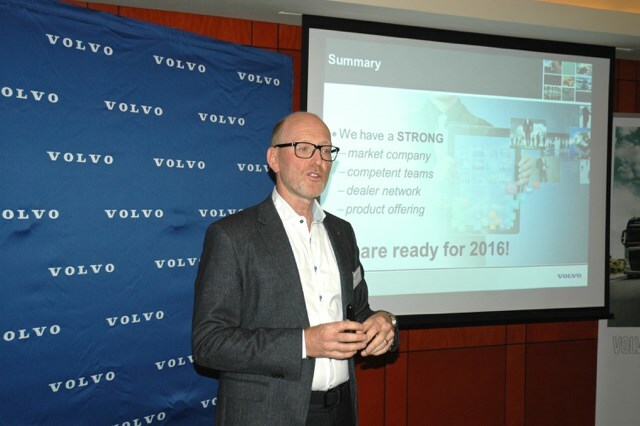 Telematics is one of the big advantages in Volvo’s ranges and they are seeing customers really starting to utilise the information that they can now access to effect their operations very successfully. "To summarize our priorities - we can only aim to improve our customer service and satisfaction in these tough market conditions. 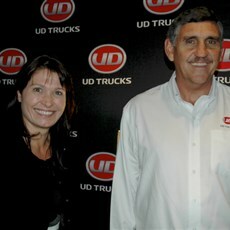 This offers support to these operators as much as possible, including finance, training and dealer expansion in Africa. We have the products, the team and the expertise so we feel that while it is going to be a tough period of rolling up sleeves, but we are prepared?" Christensson asserts.